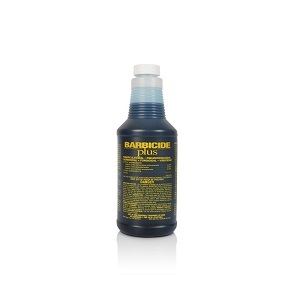 Barbicide Plus is a Tuberculocidal disinfectant for use in states that require this type of product. This EPA registered, hospital grade disinfectant can meet all of your sanitation and disinfection needs in the salon, spa and barbershop. Please visit our list of state board requirements to determine if you state requires this type of disinfectant. Tuberculocidal hospital-grade, EPA approved disinfectant.